The Genee Lift Smart is ideal for a variety of scenario’s in Education or Business. The Genee Lift Smart converts a fully vertical screen to electrically tilt 90 degrees for a flat horizontal touch surface. Convert your interactive touch display into a mobile interactive touch table. Electrically adjust the height for adults and children of varying sizes and wheelchair users. With an optional PC Holder and wheels with castors, this lift is ideal for education and presentation use. Compatible with screens between 40″ and 80″. Warranty: 2 Years. 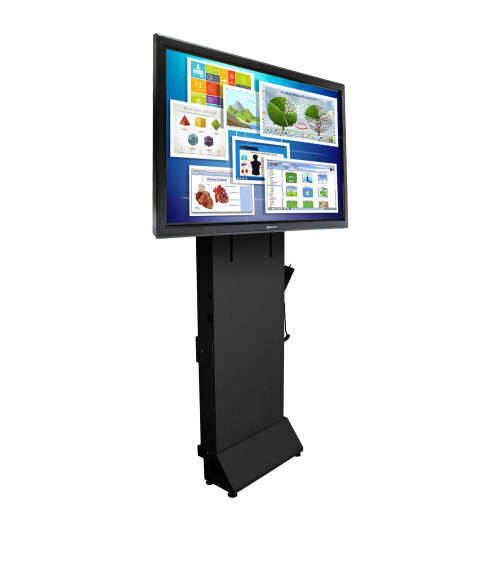 The Genee Premier Floor stand is a stylish mobile floor stand for LED, LCD, plasma and flat TV screens up to 70 inches or 85kg. 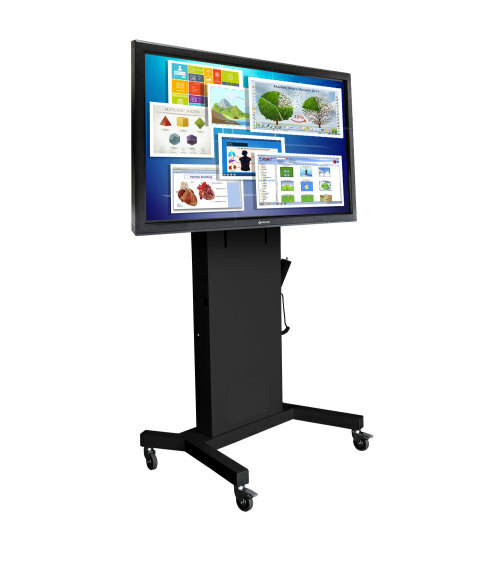 The stand is specifically designed to be mobile so can be moved from classroom to classroom or office to office. 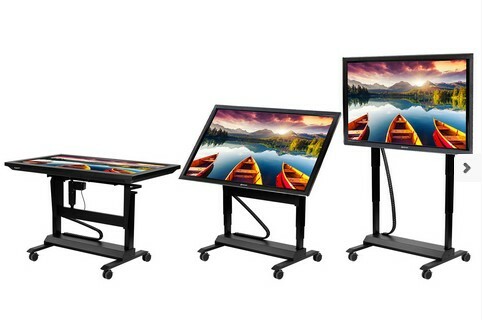 The screens can be mounted on the stand at different heights to suit the intended use. 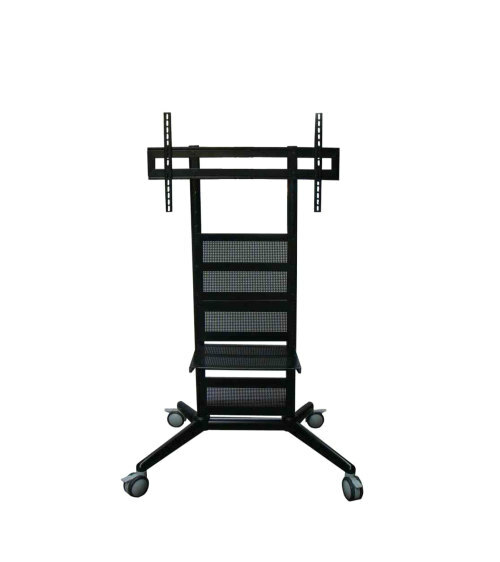 Mobile TV floor stand with AV shelf. Suitable for most 32"-60" LCD or LED TV screens. 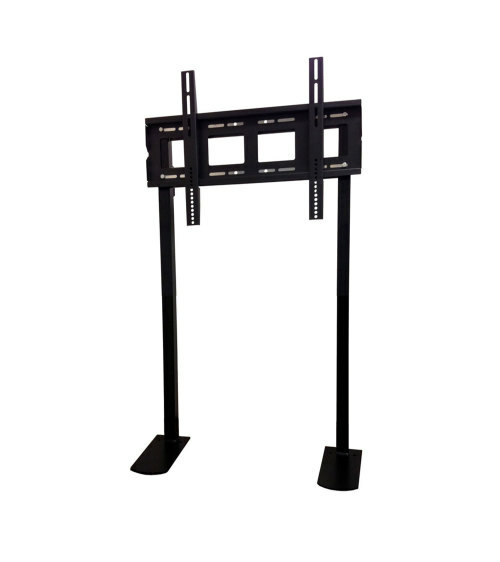 The included height-adjustable panel mount supports TVs of up to 32-60 inches. It also includes height adjustable glass AV Shelf. Heavy-duty casters wheels with reinforced design support your equipment while allowing for swift manouverability. The Genee Floor Mount is specifically designed to mount LED, LCD, plasma and flat TV screens onto walls that are not currently suited to take the weight of a large screen. The mount attaches to the wall and has two sturdy legs which extend to the floor and support the weight of the screen. The mount can be used for screens up to 84″ or 125kg.